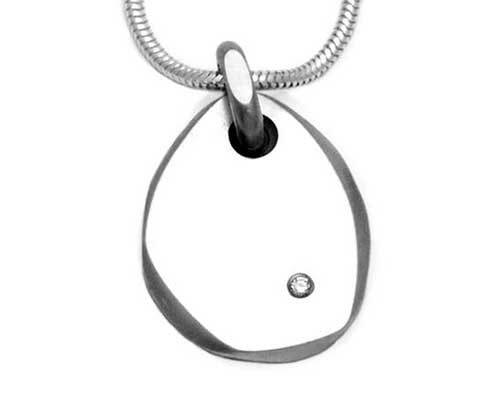 Stone Shaped Diamond Silver Necklace : LOVE2HAVE in the UK! This piece is also suitable for a personalised engraving so you really can carve your message forever in stone. The pendant size is approximately 20mm x 15mm in size.